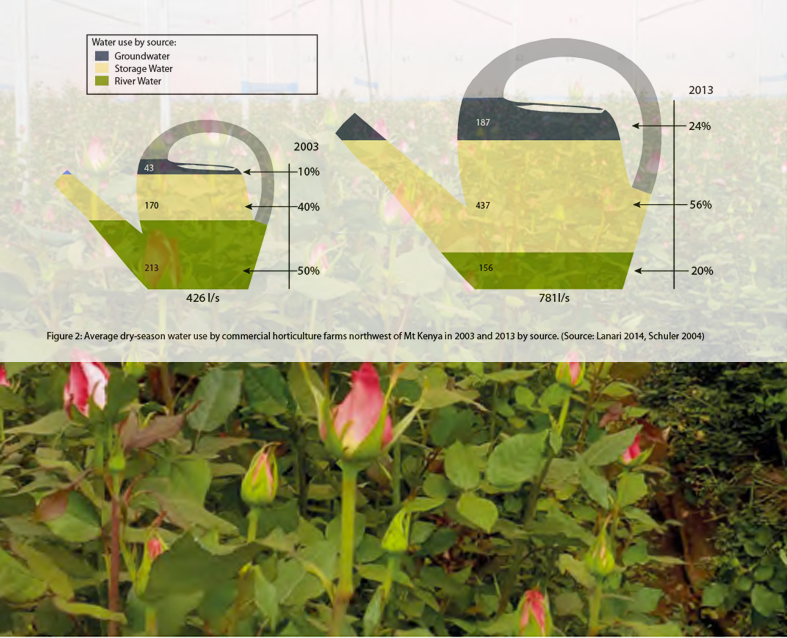 Growing flowers and vegetables for export is a vital source of revenue for Kenya and other East African countries. It provides jobs for local people, including women, and creates market channels for small-scale farmers to sell their crops. But working conditions and employment terms must be improved. Moreover, the industry is a major water consumer, competing for declining river water with other uses. This is a problem during the dry season, which corresponds with Europe's winter. Near Mt Kenya, the sector is shifting from using river water to relying more on stored water and boreholes.